When we sat down to talk about the novel, we started by discussing the book’s genre. 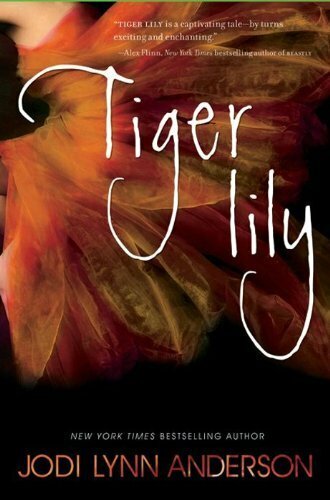 Our editorial director Halli mentioned that Jodi Lynn Anderson’s other titles have been targeted at young adult readers, and as such, Tiger Lily was also likely released as YA. But others remarked that it seemed different from the YA books that they had previously read. While the characters grow emotionally and the narrative centers on a young protagonist, many of the issues seemed relatively mature, and the ending was not definitively happy. Speaking of the ending… There were very mixed feelings about this one! In many ways, the ending of Tiger Lily was about the differences between the passionate, first-time love of teenagers and the more practical love of an adult relationship. Some people in the office found this depressing, while others appreciated the realistic conclusion and the signs of growth Tiger Lily’s final choice displayed. Many novels about first love end before the relationship does, so we found it engrossing to compare these two different types of romance, even though there was disagreement over whether she ever actually got over Peter. On a more serious note, several of us thought the subtext of European colonization was particularly interesting. We wondered why Tiger Lily’s tribe was so receptive to Philip (a European stranded on the island) and the idea of Heaven, especially considering the tribe’s members could not die of old age. Everyone felt that the impact of colonization on Tik Tok was one of the saddest moments in the book. Overall, many BookBubbers found Tiger Lily to be a bittersweet story. When you lose youth, do you also inherently lose the ability to love youthfully? As you grow up, do people inevitably betray you in one way or another? Why does anyone embrace a religion or culture that is proselytized by an outsider? This book left many difficult questions unanswered, which led to an engaging discussion and a widespread appreciation for the story’s depth and complexity. For several in the group, Tiger Lily set the new bar for favorite BookBub Book Club pick. If you want to read along with us next month, we’ll be discussing The Boy in the Suitcase by Lene Kaaberbøl and Agnete Friis! Like what you see? Enter your email address here for more updates from BookBub Unbound!